With the wind laid up, Austin and I took advantage of it and hit Port A South. 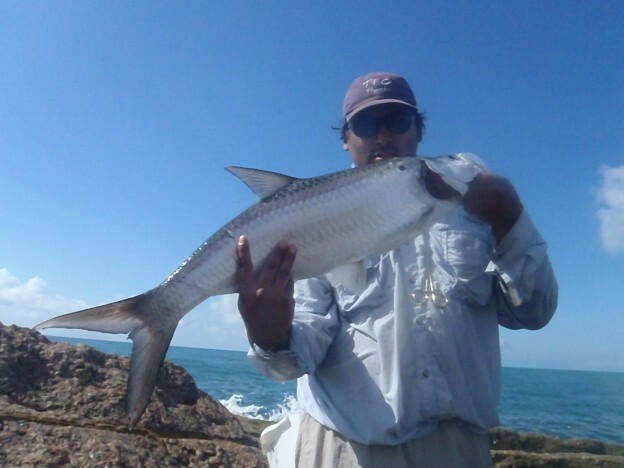 As soon as we hit the end of the rocks there were tarpon rolling on the left side of the jetty. Austin got set up before we got there so he started casting right into the fish. I finally get set up and start casting. 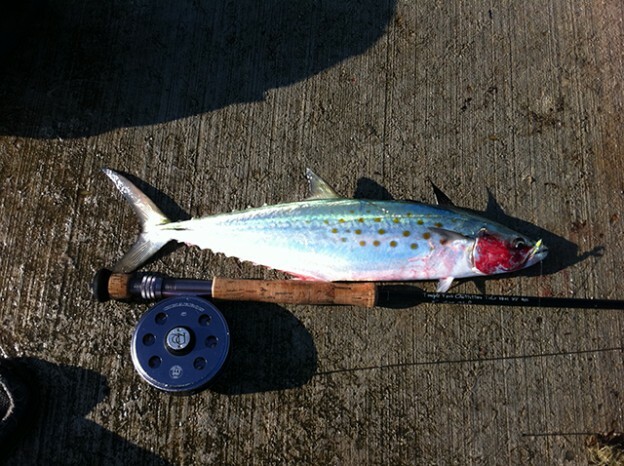 On my third cast I hook into a 25″ Spanish mackerel and as I was landing the fish with my brand new 8wt TiCr, my rod breaks right under the tip’s furrel…needless to say I was angry. 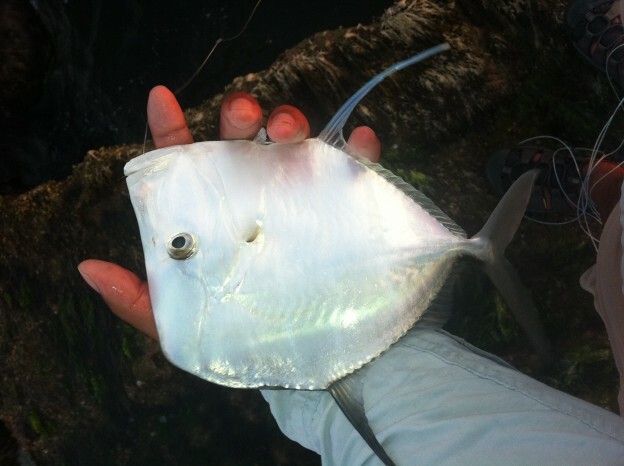 I land the fish and in the process of trying to take it off the hook the fish falls in a crack and is lost forever. Fortunately, the fish fell in water so I am sure it could get back to open water. I run down to Austin’s jeep and grab my Mini Mag 6-8wt and run all the way to the end of the jetty again. When I arrive Austin has picked up another smack and there are still tarpon rolling on the end. We both keep casting and occasionally jump a fish or get rubbed off trying to set the hook. After a few hours and just a few smacks to show, Austin decides he needs water and runs back to his jeep to grab a bottle. I would say he was probably gone a total of 15 minutes. 10 minutes after he left, I start seeing tarpon roll on the right hand side of the jetty and start casting to them. I finally hook a tarpon and my blood is pumping. After fighting it a few minutes the fish starts to tire and I know for my first fish it might take some help to land the fish, I look down the jetty and see Austin’s brown shirt bouncing up and down. I put my free hand in the air and start waving. At first I don’t think Austin realizes I am hooked up, he waves back at me like he is just saying hi. At this point I start yelling “Tarpon! Tarpon! Tarpon!” and I guess he hears me because he starts running and finally gets to me to watch the end of the fight and leader the fish. She turned out to be 3 1/2′ or 4′. We stayed on the jetty until we could no longer take the heat. I would say we saw close to 150 tarpon that day, they were rolling 3-10 fish at a time, Austin hooked close to 5 and I hooked 2. Most definitely our most productive day targeting tarpon.